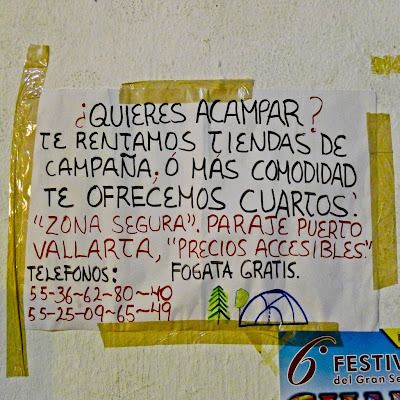 The “Blog” of “Unnecessary” Quotation Marks: "zona segura"
Do you want to camp? We rent tents, or if you need more comfort we offer rooms. "Safe zone." 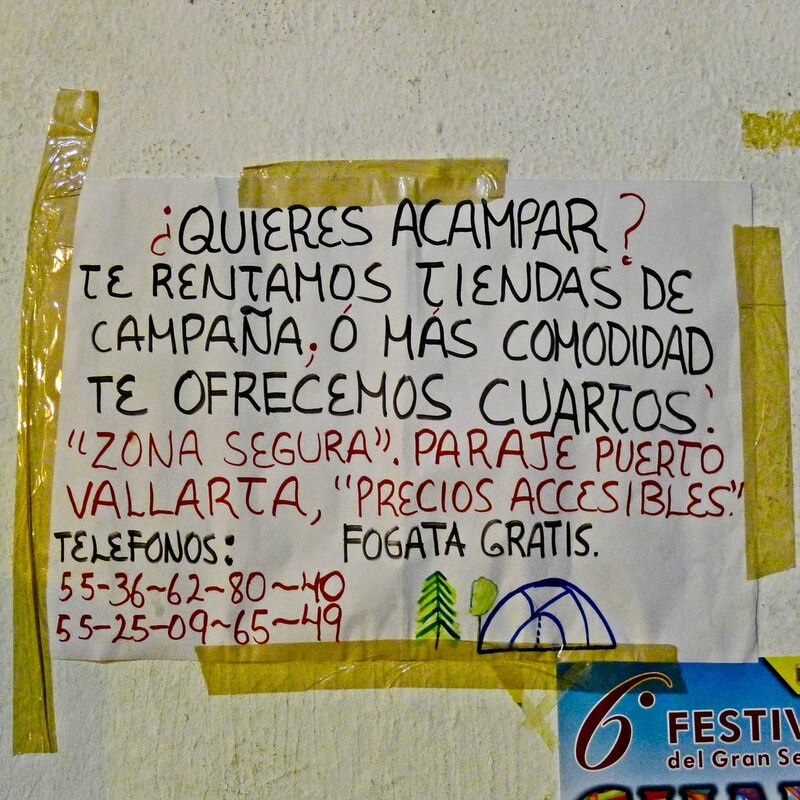 Parate Puerto Vallarta, "Affordable Prices"
If the "affordable prices" apply to the "safe zone" maybe they should raise them and then they could do away with both sets of quote marks. You for got the entirely free bonfire they ave in the "safe zone"...Also is just regular camping out side of the "safe zone" going to be life threatening?